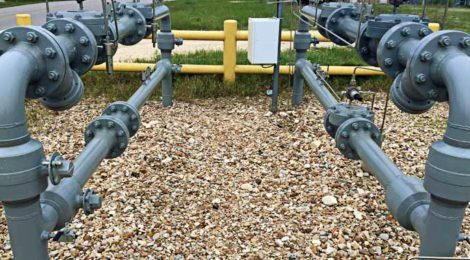 A client operating a series of natural gas pipelines in multiple states needed to locate the source of contaminates in their pipeline. These contaminates were preventing downstream clients from using their supply due to various issues, such as catalyst poisoning, corrosion factors and off spec processes. After an initial analysis, Myramid determined that the contaminates included reduced sulfur compounds and high oxygen within their pipelines. A series of continuous analyzers were used to monitor various points along the pipeline and at gathering stations. The data and sample locations were analyzed and a correlation was tied to certain processes and well heads. Pipeline analyses capabilities include H2S, COS, CS2, other reduced sulfur compounds, cumulative total sulfur, oxygen, extended hydrocarbon analysis, oxygenates and particulate matter.